Medea accompanies the works Socrates, Alcibiades, Teleny and Xantippe. 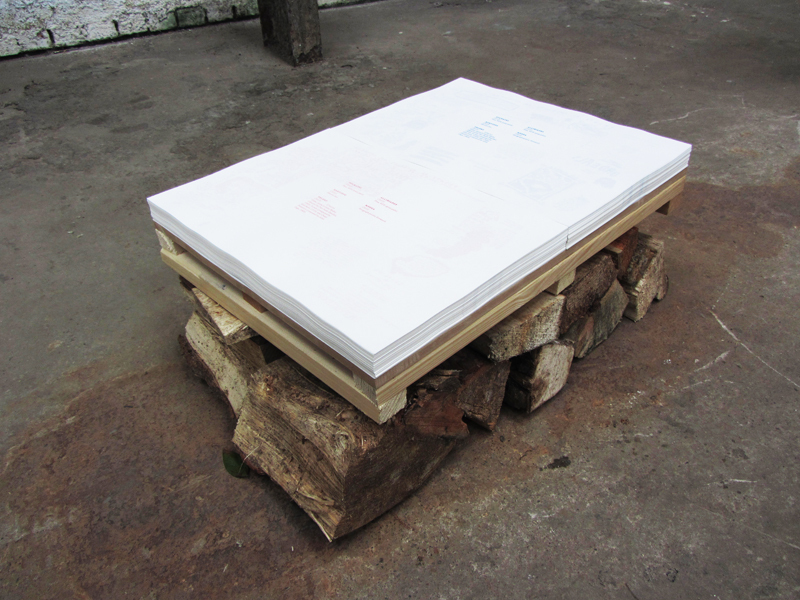 It is a palette of firewood on which are placed two stacks of A3 sized double-sided risograph prints. One stack is printed in red, and the other is printed in blue; each stack has its own collection of drawings and handwritten notes on one side, and on the other side a list of the works which surround it.